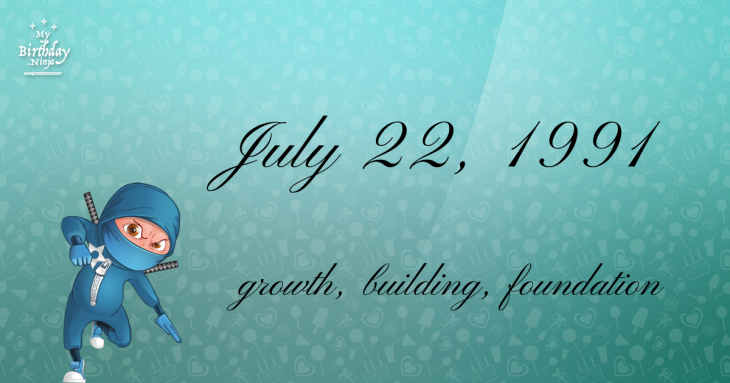 Here are some snazzy birthday facts about 22nd of July 1991 that no one tells you about. Don’t wait a minute longer and jump in using the content links below. Average read time of 10 minutes. Enjoy! What day was my birthday Jul 22, 1991? July 22, 1991 was a Monday and it was the 203rd day of the year 1991. It was the 29th Monday of that year. The next time you can reuse your old 1991 calendar will be in 2019. Both calendars will be exactly the same! This is assuming you are not interested in the dates for Easter and other irregular holidays that are based on a lunisolar calendar. There are 94 days left before your next birthday. You will be 28 years old when that day comes. There have been 10,133 days from the day you were born up to today. If you’ve been sleeping 8 hours daily since birth, then you have slept a total of 3,378 days or 9.25 years. You spent 33% of your life sleeping. Since night and day always follow each other, there were precisely 343 full moons after you were born up to this day. How many of them did you see? The next full moon that you can see will be on April 19 at 11:14:00 GMT – Friday. Fun stat: Your first one billion seconds (1,000,000,000) will happen sometime on March 30, 2023. If a dog named Farfle - a Pocket Beagle breed, was born on the same date as you then it will be 128 dog years old today. A dog’s first human year is equal to 15 dog years. Dogs age differently depending on breed and size. When you reach the age of 6 Farfle will be 40 dog years old. From that point forward a small-sized dog like Farfle will age 4 dog years for every human year. Emperor Gia Long conquers Hanoi and unified Viet Nam, which had experienced centuries of feudal warfare. The first ever motor race is held in France between the cities of Paris and Rouen. The fastest finisher was the Comte Jules-Albert de Dion, but the ‘official’victory was awarded to Albert Lemaître driving his 3 hp petrol engined Peugeot. World War II: Allied forces capture the Italian city of Palermo. Dezik (Дезик) and Tsygan (Цыган, “Gypsy”) are the first dogs to make a sub-orbital flight. Chinese leader Deng Xiaoping is restored to power. Jeffrey Dahmer is arrested in Milwaukee after police discover human remains in his apartment. What does my birthday July 22, 1991 mean? 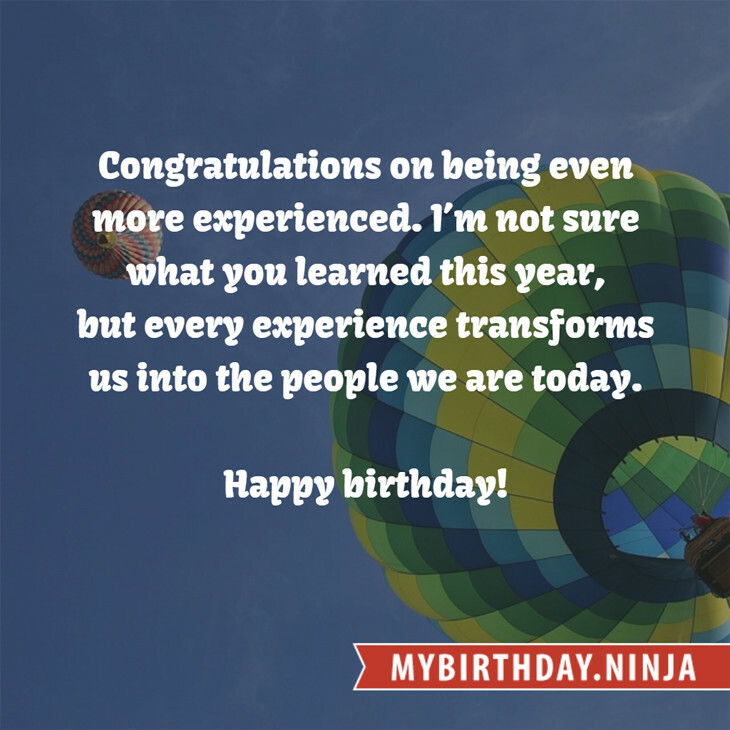 Your birthday numbers 7, 22, and 1991 reveal that your Life Path number is 4. It represents growth, building and foundation. You are practical, down to earth with strong ideas about right and wrong. The following celebrities also have the same life path number: Amy Heckerling, Danny Seraphine, Reichen Lehmkuhl, Nat King Cole, Edgar Bergen, Will Champlin, Robin Strasser, Susan Cowsill, Julie Dawn Cole, Christy Moore. What is the birthday horoscope for Jul 22, 1991? The Western zodiac or sun sign of a person born on July 22 is Cancer ♋ (The Crab) – a cardinal sign with Water as Western element. The ruling planet is Moon – the celestial body of moods and emotions. According to the ancient art of Chinese astrology (or Eastern zodiac), Sheep is the mythical animal and Metal is the Eastern element of a person born on July 22, 1991. Fun fact: The birth flower for 22nd July 1991 is Larkspur for haughtiness. The number-one hit song in the U.S. at the day of your birth was (Everything I Do) I Do It for You by Bryan Adams as compiled by Billboard Hot 100 (July 27, 1991). Ask your parents if they know this popular song. How many babies were born on July 22, 1991? Base on the data published by the United Nations Population Division, an estimated 137,064,554 babies were born throughout the world in the year 1991. The estimated number of babies born on 22nd July 1991 is 375,519. That’s equivalent to 261 babies every minute. Try to imagine if all of them are crying at the same time. What is the popular baby name on 22 Jul 1991? Here’s a quick list of all the fun birthday facts about July 22, 1991. Celebrities, famous birthdays, historical events, and past life were excluded. Try another birth date of someone you know or try the birthday of these celebrities: March 11, 1947 – Mark Stein, American singer-songwriter and keyboard player (Vanilla Fudge); July 24, 1979 – Lee Si-yeon, South Korean actress and model; June 29, 1928 – Ian Bannen, Scottish actor (d. 1999).